Born in Northern Ireland, Kevin came over to the mainland and had trials at Wimbledon, Swindon, Blackpool and Wolves, before joining Millwall on YTS. After just one year however, he signed a professional contract keeping him at Millwall for three years (later extended). He has made a number of appearances for Northern Ireland at all levels up to the under-21’s. 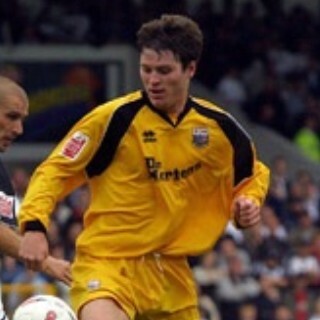 On 6 August 2004 he joined Rushden & Diamonds on a one month loan deal, which was later extended to three months. On return to Millwall, he immediately went to Canvey Island, again on loan for two months. Kevin was eventually released from Millwall in January 2007 and returned to Northern Ireland to join Portadown in the Carnegie Premier League. After over 250 appearances for Portadown he moved on to Glenavon for three seasons, before spending 2017/18 with Ballymena United. He returned to Portadown for the 2018/19 season.